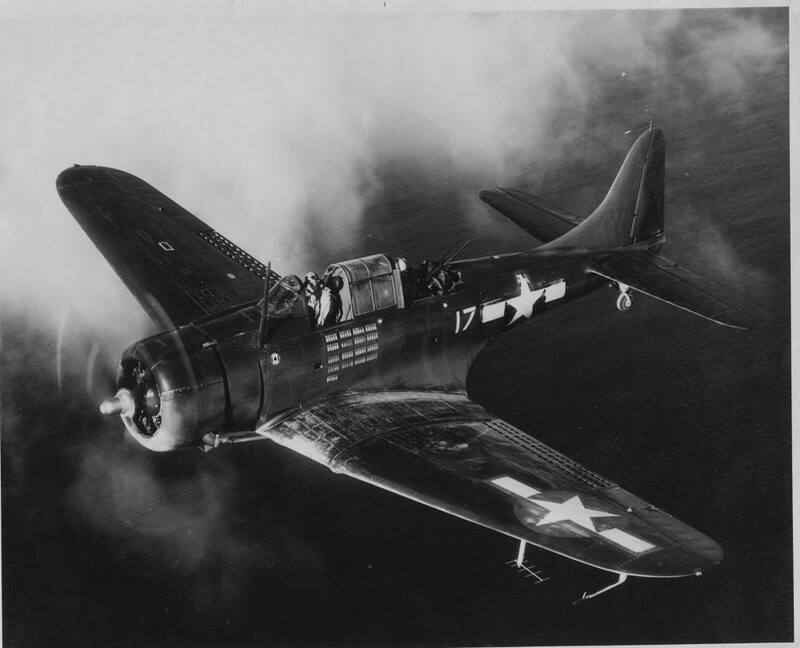 On April 26, 1944, an SBD-5 Dauntless, (Bu. No. 54260), was approaching to land at the Quonset Point Naval Air Station when the pilot discovered that he couldn’t lower the landing gear. He began to circle the airfield in an attempt to fix the problem but was unable to do so. With fuel running low, he made a wheels-up emergency landing at the base. The aircraft suffered extensive damage, but the crew was not injured. The accident was due to mechanical failure. U. S. Navy report #44-13575, dated April 26, 1944.